Simple V-neck w/zipper closure; work well for a wide range of people and uses. and black cotton-poly elastic trim. 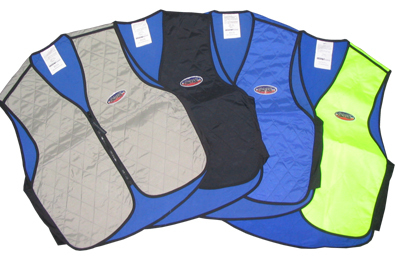 Once activated, the garments will provide hours of cooling relief..
Evaporative Cooling Kits - A Great Value!